Registration Fee includes timed race, packet including t-shirt AND pancake breakfast following race. Spectators are welcome to join in the pancake breakfast for $7 per person. Registration will be available online and via hard copy starting April 1. Please register by June 24 to guarantee yourself a t-shirt. TIME: 7:30 a.m. Race Starts. Walkers/Strollers In Back Please. NO "Wheels" - bikes, roller blades, scooters, etc. (credit card fees apply). ONLINE REGISTRATION CLOSES AT 10PM ON THURSDAY, JULY 11. Registration Deadline is June 24 to guarantee a t-shirt! Day-of registration will be $30 and a shirt is not guaranteed. Event will be full at 1,000 entries. 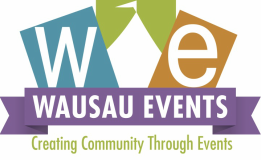 Event will benefit Wausau Events & the Southeast Side Neighborhood both of which are 501(c)3 nonprofit organizations. PACKET PICK-UP: Packets can be picked up Friday night at the Camper at the Balloon & Rib Fest from 5-7pm or Saturday morning from 6am to 7:15am. Packets will include your race number with chip, race t-shirt, pancake breakfast ticket and more! COURSE: The course starts and ends at the airport. It is flat, fast and scenic! NEW COURSE in 2019 goes along the runways inside the airport grounds for up close viewings of Hot Air Balloons and Airplanes! The course is being finalized but will be great! AGE GROUPS: There will be Male & Female Age Groups. Awards will be given to the top overall male and female runners as well as the top 3 finishers in each age group and gender. Awards will be handed out around 8:30am. Your race number must be clearly visible in order to register a time. PARKING: Parking is limited around the Airport. Please obey all no parking signs on the streets! WEATHER: The race will be ran rain or shine unless there is severe weather. There are no refunds due to race cancellation. PANCAKES: Participants will receive a complimentary pancake breakfast as part of their registration. Family members, friends, spectators are welcome to join the racers and pay for a pancake breakfast as well for $7 per person! The breakfast is put on by the Kiwanis Club and runs from 6am to 11am. BALLOONS: The Hot Air Balloons will set-up and launch between 6 and 6:30am, as long as the weather is right for them. Be sure to arrive for the spectacular site!